RolePlay is a PocketMine plugin to hide roleplay from players who are not using RolePlay. 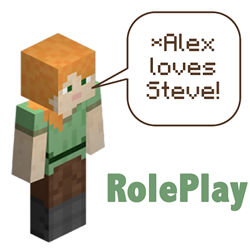 Type /rp to join the server's roleplay channel - chat displays as if you typed /me, but only to other users using RolePlay. Your chat is hidden from others.